Grogs Loft - Australian English Short Faced Tumblers, Breeding Tips, Pigeon Genetics, New and Rare Colors. 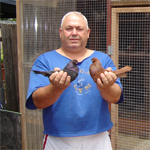 Australian English Short Faced Tumblers, Breeding Tips, Pigeon Genetics, New and Rare Colors, Australian National Pigeon Show. Australian English Short Face Tumbler Breeders. 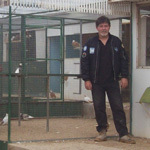 Click here to read about Rob's experience with breeding pigeons. 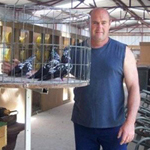 Click here to read about Mark's experience with breeding pigeons. Below are some must read articles about almond breeding. Genetics of the almond coloration. By Dr Axel Sell. Breeding Short Faced Tumblers. By Colin Seymour. Almond Short Faced Tumblers. By Colin Seymour. HOME - PHOTO GALLERY - ESFT GALLERY - CONTACT - All contents copyright © 2007- - Rob Grogan.